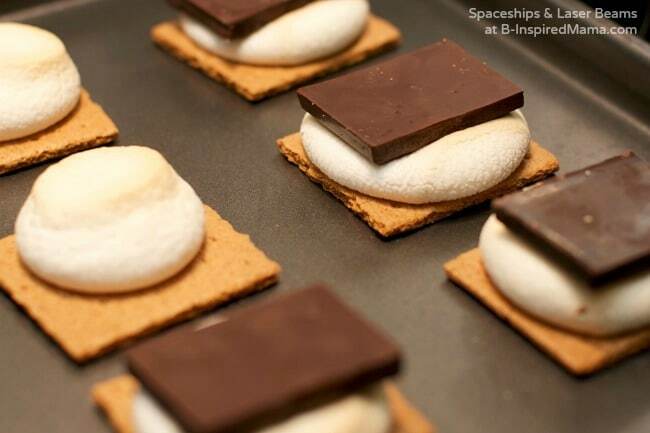 This Kids in the Kitchen post was contributed by Stephanie of Spaceships and Laser Beams. Quality Time & Learning with Kids in the Kitchen! There are mothers all over the world…and we all come from moms…but until I became one, I didn’t REALLY know what it takes to be a mom: it takes everything! If you’re like me, there are many things you want to share with your kids–but life is busy so you learn to do what moms all over the world do: multitask! And in this case, multitasking means getting the kids in the kitchen for some quality time and learning, too. 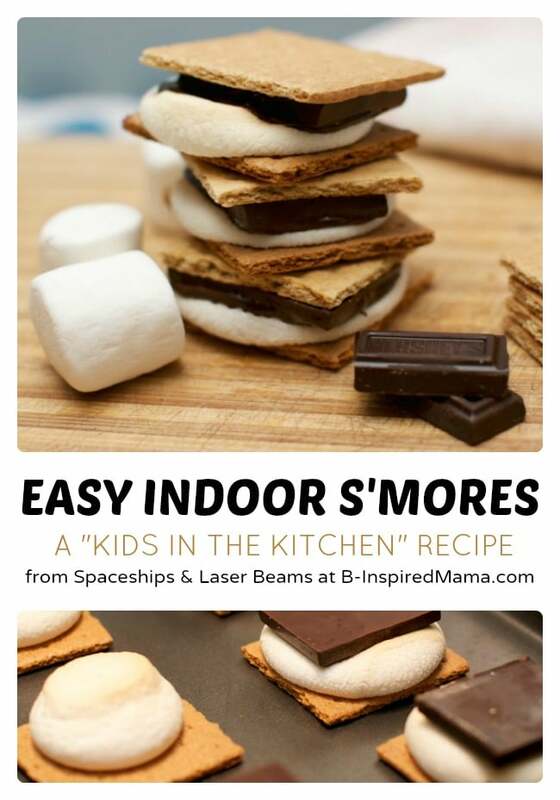 On my blog, Spaceships and Laser Beams, we specialize in parties for boys, so my imagination is often in party-planning mode; we have small family “parties” frequently at our house! Now that he is four, my son and I love to create together in the kitchen. Besides just the companionship, I find working on a recipe is a good way to teach Sam several important life skills in a fun way: goal setting (what shall we make? ); listening (to instructions); cooperation; working in an orderly way; and reward (there’s a built-in reward at the end of this process!). Sam is generous-hearted, and he’s always excited for the family time with dad and mom sharing the treats when we’re finished. 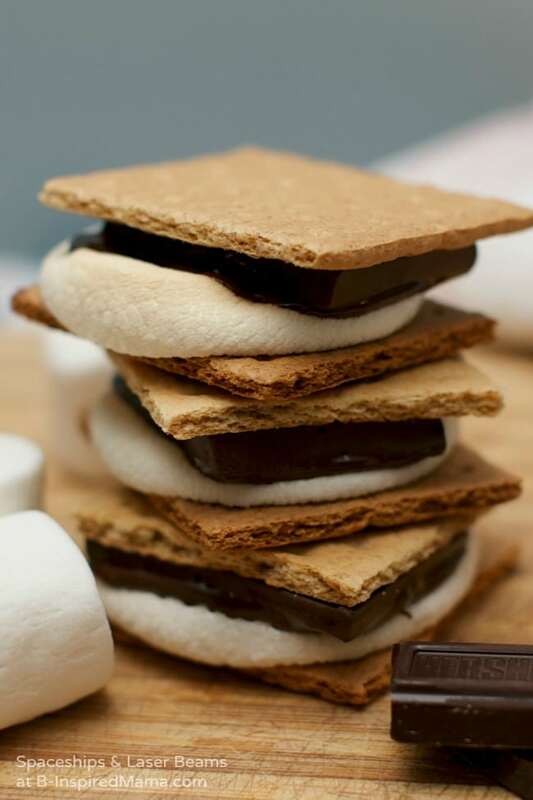 You could also make these S’Mores with some of the special shaped marshmallows that are marketed for the holidays or use different flavors of chocolate. We’ve agreed to try mint chocolate next time. Our next lesson? How to clean up the kitchen while mom takes a bubble bath!